I was looking through my sample drawer the other day and noticed I had some of the CHANEL EdT carded manufacturer samples. Seeing that that are now discontinued for the EdP I wondered if you’d like to have them as reminders of that which went before? Thank you to the gorgeous Esther at David Jones Sydney City Store for her friendly and informative service, it’s always a pleasure buying CHANEL with you. Please tell us which is your favourite CHANEL fragrance or the one you’re most interested to try? Entries Close Saturday 29th October 2016 10pm Australian EdsT and winners will be announced in a separate post. The winners will have till Wednesday 2nd November 2016 to get in touch (portia underscore turbo at yahoo dot com dot au) with their address or the prize will go to someone else. I follow “APJ via email of the blog. Love Jersey! Lavender lover here. I follow by email and I’d love to try Misia. Thanks for the chance! I follow APJ on WordPress! I love No. 5 L’Eau Premiere (love No. 5 too but it was my mother’s perfume; I blogged about that, actually, in a post called My Mother’s Last Perfume). I also love No. 22, which I wore regularly in my 20s. Thanks for doing this! I follow via email. OMG, I have always wanted to try Coromandel but have never gotten my nose on it. Patty Jicky is my fave scent ,too, from the Guerlain range. However ,which is your fave CHANEL fragrance? lol…I just wanted to see if anyone read my posts. 🙂 ….as for CHANEL…I really like vintage Antaeus. Hi! Coromandel is the one I got the most compliments on. I really love Bois des Iles perfume though. I follow by email and Bloglovin. Thanks! Hello! I follow via email. I use Chanel Coco and Mademoiselle. I would love to win this giveaway! Have a bottle of the Beige extrait. Following on WP. I follow by e-mail! I think my favorite Chanel is Bois des Iles extrait. I really want to try Boy, though 🙂 THanks, Portia! Thank you for the chance! I follow through email, and I have been interested in trying Coromandel for a while. I have pretty much only tried No 5, I think, so I don’t have a favorite yet! I have heard so much about Jersey that I’d love to try it and Misia, as well. I follow APJ via email. My most favorite Chanel is Rue Cambon though Cuir de Russie comes close. The one I really want to try is Boy because Polge did magic with lavender in original Dior Homme. I follow APJ by FB and email. There’s been so much said about Coromandel and I still haven’t tried it so that would be my choice of the three. My favourite Chanel is No 19. I follow APJ via email and thanks for the giveaway. My favourite Chanel is, actually are, two at opposite ends of the spectrum, No 5 edt and Cristalle. Most interested in trying is No 22, but I am happy to try these Exclusifs. I don’t need to be entered in the drawing – got a few when they were doing the large bottles so I have enough for a lifetime :). However, are they doing Coromandel in an EdP? Wonder how that will change the scent? I follow you via emails on hotmail and also on bloglovin. I have a decant of Coromandel and I love it! I would like to try Jersey. Thanks! I follow by email. I don’t have a favorite Chanel. I would love to try any of the ones you mentioned. Thanks for the giveaway. I think that BdI is my favorite Chanel, though I am not yet that familiar with the Exclusifs. I follow APJ via email. My fave from Chanel is Coco and I would lover to try Misia. Woohoo, what a great giveaway! I am most interested in trying Coromandel. I follow by email. i follow by email.i want to be really familiar with the whole exclusives range but sadly am not.i would love to start with these 3.is there any feed back yet on how different the edp’s are? thanks for the giveaway. Favorite Chanel is Beige and I always wanted to try Coromandel. Thank you for the draw; I follow by email. What a great idea. I’ve sampled a few in this line, but Sycomore is the one I’d most like to try. I follow via email. How does one pick a favorite Chanel? I own and love 1932, and would love to try Coromandel and Jersey! I follow APJ via email, as a rule. Hi, I really like this collection, but still have not tried the first fragrance. 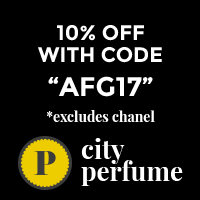 A friend mentioned to me the site FRAGRANTICA this page. I’m a fan of Chanel, I have 6 of his creations, including a thumbnail of Chanel No. 5 of the 50s My favorite fragrance is “Egoiste Platinum”. MMMMM…Chanel! My favorite Chanel of all time is No 19. Of the Exclusifs, I have a Coromandel sample that I love. Thank you Portia!! Follow via email! I follow by email, and my favourite is Bois des Iles in all of its incarnations. Thank you for the giveaway!